Researchers at the University of Alberta (UAlberta) have reported finding the world’s largest Tyrannosaurus rex and the largest dinosaur ever discovered in Canada — they named it “Scotty”. A T. rex skull (not Scotty’s). The impressive skeleton spans 13 meters in length and, in true paleontologist fashion, was nicknamed for a celebratory bottle of scotch the night it was discovered. Scotty used to live in prehistoric Saskatchewan 66 million years ago. Judging from its leg bones, its discoverers estimate that it weighed some 8,800 kg while alive, making it bigger than any other carnivorous dinosaur whose fossil we’ve recovered. “This is the rex of rexes,” said Scott Persons, lead author of the study and a postdoctoral researcher in the Department of Biological Sciences at the UAlberta. The skeleton was first uncovered in 1991, when several paleontologists — including T. rex expert, UAlberta professor, and one of this study’s co-authors Phil Currie — were called in on the project. The bones were encased in hard sandstone, and it took the team over a decade to remove the bones from the stone without damaging them. Now, however, the researchers have been able to assemble and look at Scotty in its original shape. Scotty’s size immediately made an impression on the team. It is the largest T. rex specimen, by both size and weight, that we have ever recovered. It is also, according to the team, the most senior dinosaur of the species that we have ever seen. T. rexes tended to live very violent — and thus not very long — lives. Scotty, estimated to have been in its early 30s when it died, stands out as being quite old. 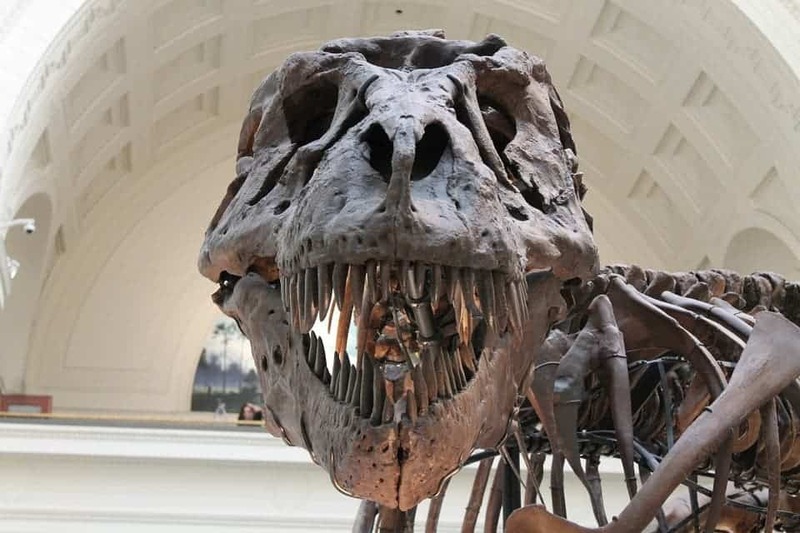 It’s even more surprising that the dino reached this advanced age as its skeleton shows signs of broken ribs, an infected jaw, and a lot of battle scars — including, possibly, a bite from another T. rex on its tail. The paper “An Older and Exceptionally Large Adult Specimen of Tyrannosaurus rex” has been published in the journal The Anatomical Record.